Two recipes in one week? Is the world turning? Are we in the twilight zone? I know! I think this heatwave is finally beginning to get to me. Don't question it. Let's just roll with it. 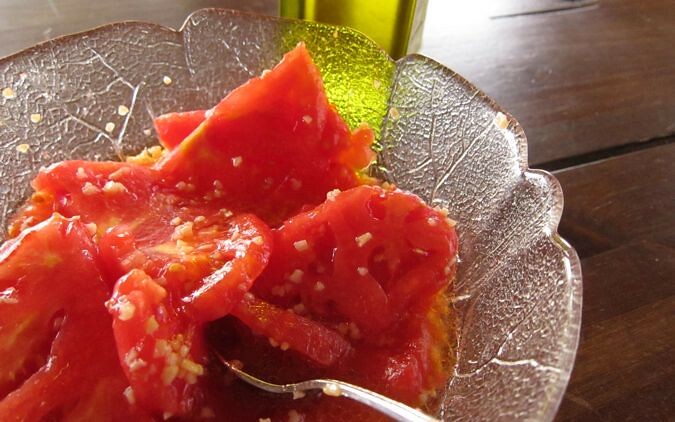 After 15 minutes, remove the tomatoes and brush the pizza crust with the olive oil marinade. 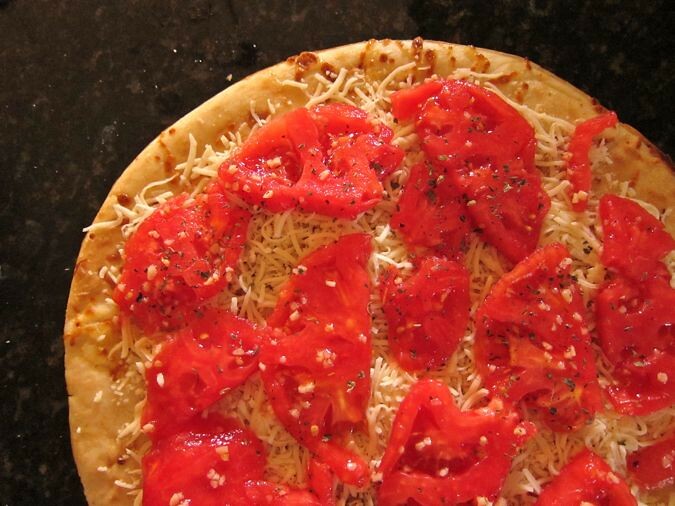 Top with shredded mozzarella, basil, sliced tomatoes, as much parmesan cheese as you'd prefer, and bake in a 425 degree oven until done. Add your favorite red wine and you are DONE! Enjoy. I will give it a try. Maybe diner Saturday night. Yum! Sounds so good and simple, too! Haha! LOVE the girlie comment! 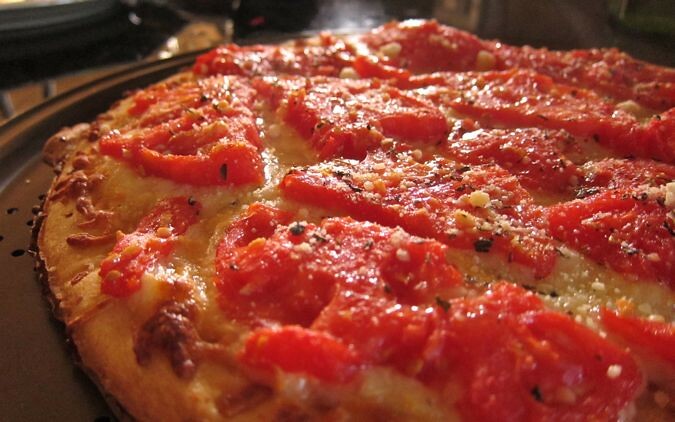 I refrained from saying that I made a duplicate with pepperoni for Mr. W. And I totally agree! What's with the margarita name?? ?